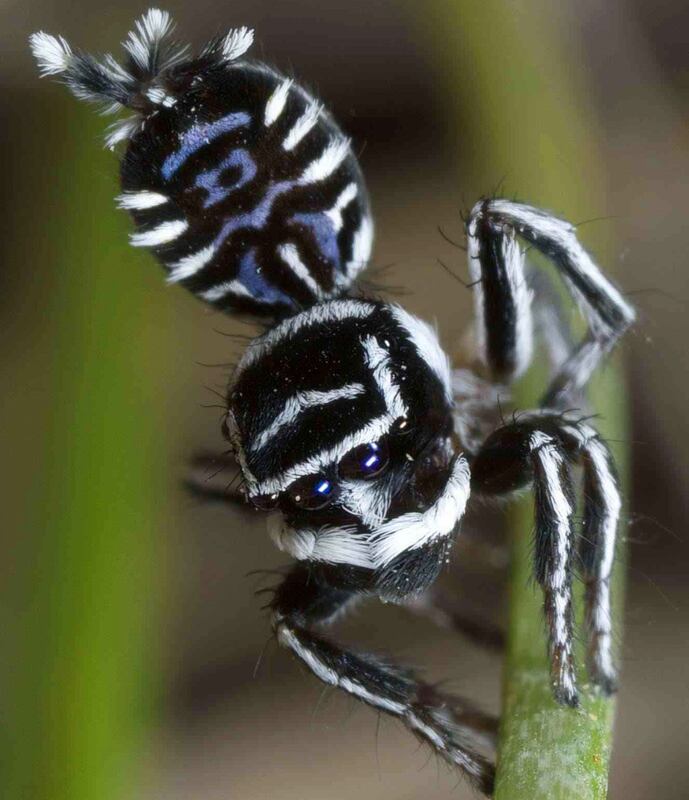 According to recent reports, two beautiful new species of the Peacock Spider have been discovered in Queensland, Australia by Madeline Girard, a graduate student at the University of California, Berkeley. 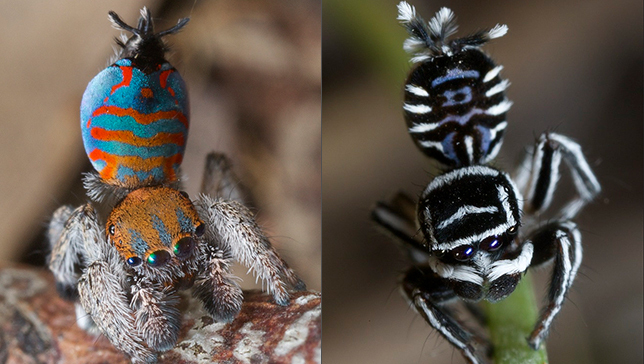 The two brilliantly patterned species are dubbed with the nicknames “Skeletorus” and “Sparklemuffin”, while their official scientific names are Maratus Sceletus and Maratus Jactatus respectively. 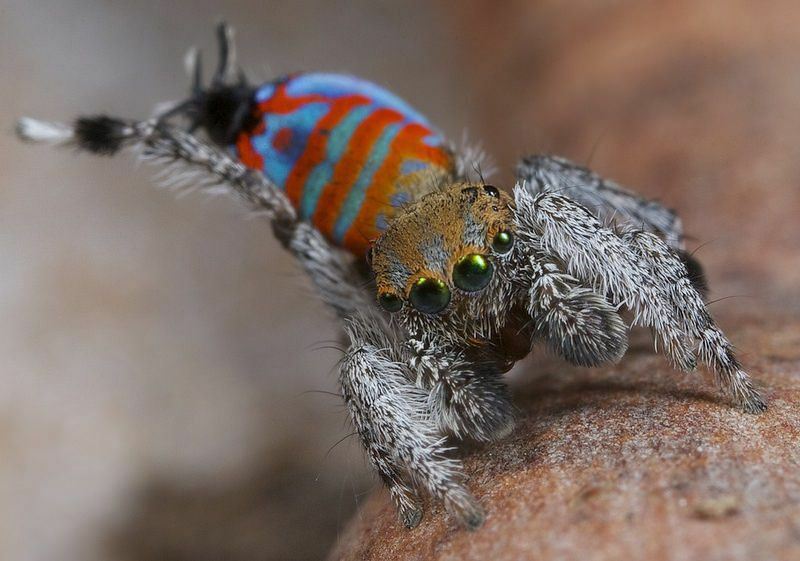 Peacock spiders get their name after their shining colours and their courtship rituals that resemble dancing routines. 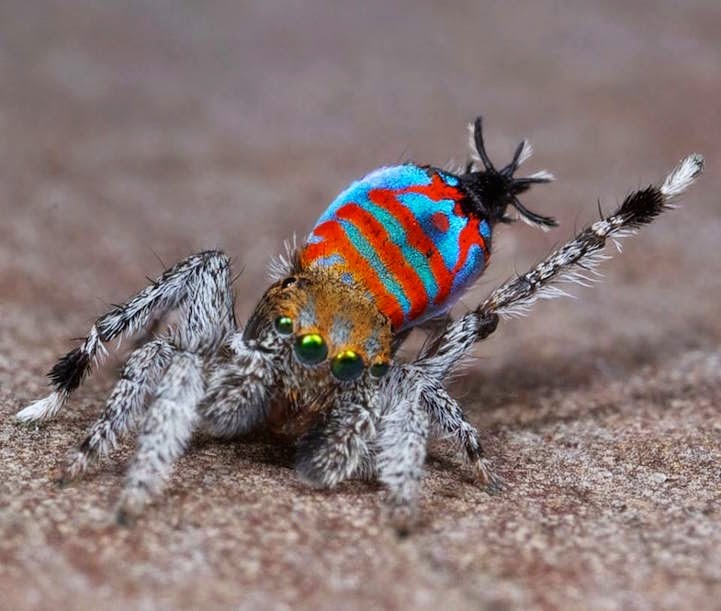 As is the case with most Peacock spiders, the females and their young are brown, while the males are the ones that display this jazzy “costume” in order, of course, to attract the females. 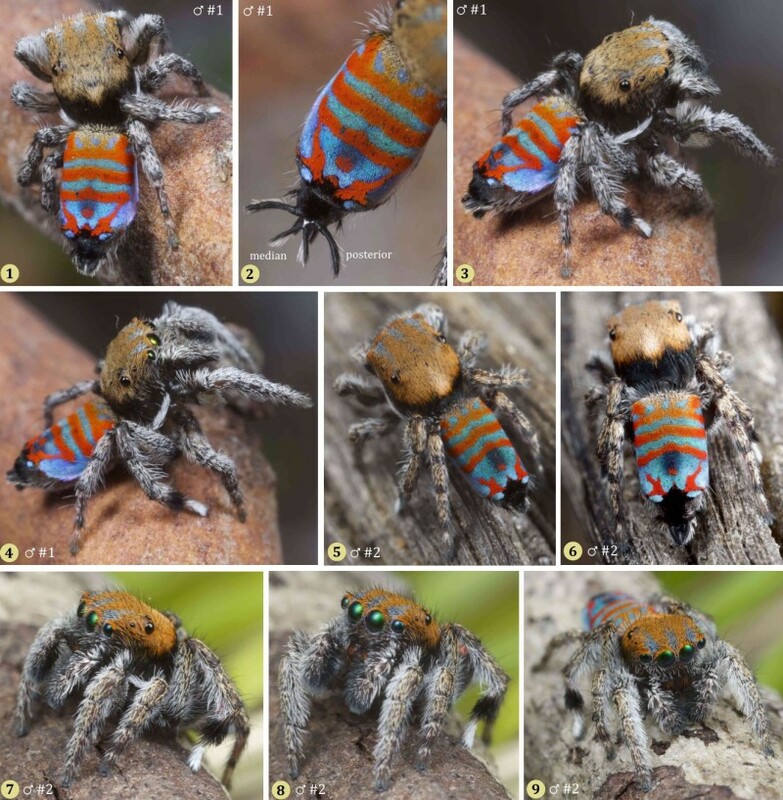 Entomologist Jürgen Otto is the co-author of a report regarding the two new species and has said of the Maratus Sceletus [Skeletorus] that it “looks dramatically different (from) all other peacock spiders known to date, making me think that this group is perhaps much more diverse than we had thought”. 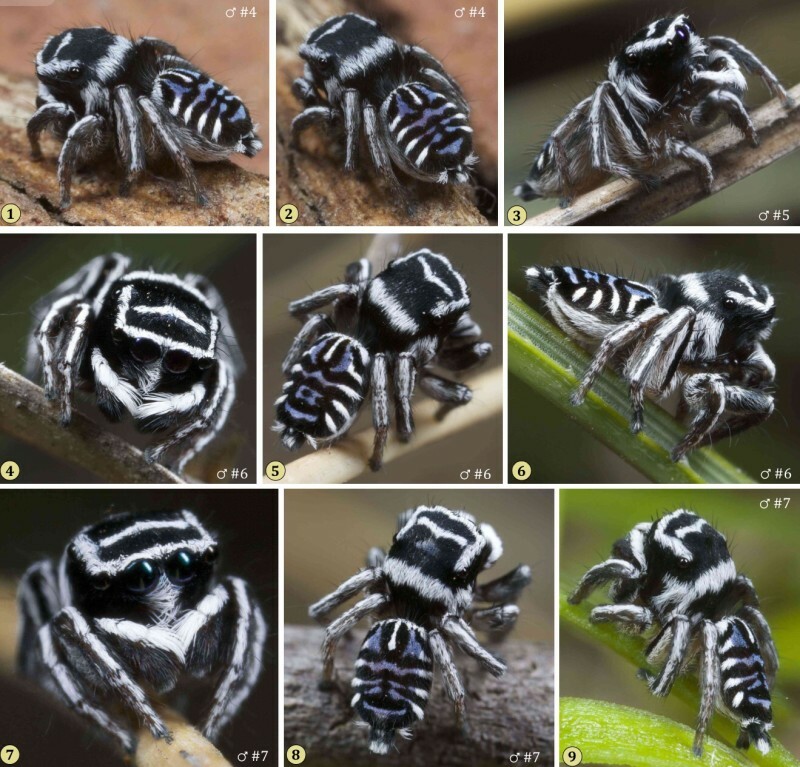 “Despite the large number of species we have discovered just in the last few years, I can’t help feeling that we may have just scratched the surface of this most exciting group of spiders, and that nature has quite a few more surprises in store”, Otto continues. The spiders are really small, my brave reader, just .1 to .7 inches long, so don’t let any arachnophobia complexes disturb your sleep. Plus, they’re really cute! 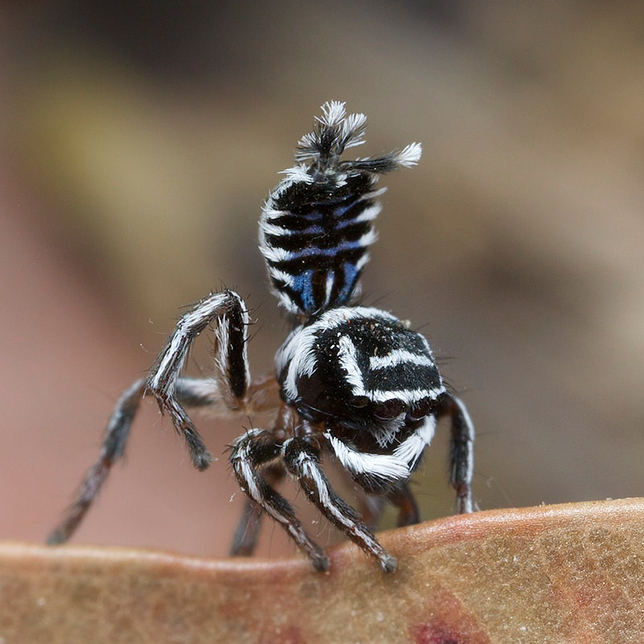 Check out the video below of another Peacock spider, Maratus Pardus.